Statistically, 1:3 women and 1:2 men will be diagnosed with some form of cancer in their lifetime. 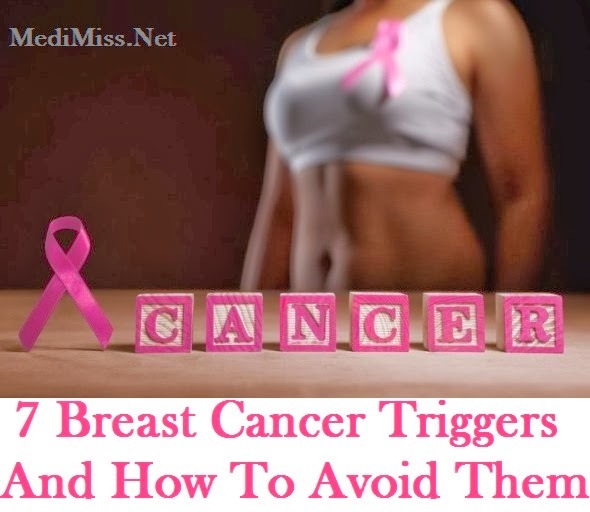 Those statistics are compelling reasons to be very proactive with your health and to understand the triggers that can lead to Breast Cancer, or any type of cancer. Inflammation occurs when your Immune System becomes over active and creates an environment of high oxidation. Think of oxidation as rust or when an apple slice turns brown after a few hours. A similar process occurs on a cellular level. inflammation is present at all 3 stages of tumor development: initiation, progression and metastasis. You can reduce inflammation by increasing your green veggies with juicing and blending and adding fish oils to your diet. Remove all processed and artificial foods from your diet. Regular physical activity and refreshing sleep also reduce the inflammatory markers. Sugar feeds cancer. After years of sugar consumption from refined carbohydrates and simple sugars, an acidic environment is created, which cancer cells also love. Insulin and IGF (Insulin Growth Factor) are powerful messengers that promote cellular growth. Sugar also depresses your Immune System. Eliminate sugar in all forms from your diet. Granny Smith apples, lemons and limes, and occasional berries are beneficial. Limit your grain consumption and replace them with quinoa and millet, which are classified as seeds. This is a biological cycle that manages a variety of bodily functions. Problems with methylation occur if there is specific gene mutation that prevents the production of a specific enzyme. This can cause issues with detoxification, immune function, DNA repair, and energy production. If you have high Homocysteine blood levels or if you would like to know if you have a methylation problem, I suggest you get tested to see if you have the gene mutation. If you do, there are nutritional supplements that will help reduce the effect of the mutation. Hormones are messengers that speak to each other and to all systems of the body. If there is too little estriol and too much estradiol, the more aggressive estradiol can cause cellular damage and increase your risk of Breast Cancer. If you are not metabolizing your estrogen properly, this can also increase your risk. The average person has over 200 foreign chemicals circulating in their body. These chemicals stress and exhaust the Immune System, distracting it from more important functions. As DNA mutations occur because of these chemicals, it is important that your Immune System be on the alert to capture any circulating cancer stem cells. Keep your Immune System functioning at its peak by adopting a healthy lifestyle and being proactive with The 7 Essentials. There are specific supplements and foods that can help boost your Immune System as well. Stress and lack of sleep can turn off cancer-protective genes. Insufficient sleep prevents the body from healing and repairing. It slows down the detoxification pathways which puts your body at greater risk. If you are not getting restful, relaxing and refreshing 7-8 hours of sleep, consider having your brain hormones tested to see what neuro-transmitters may be out of balance. Psycho-Neuro-Immunology (PNI) has taught us that the Nerve System, the Immune System and our mental health are all closely related. Think dark thoughts and your white blood cell count is reduced. Think happy thoughts of joy and gratitude and even your DNA responds in a positive way. Thoughts are energy and energy is transmitted by chemical and electrical pathways. Practice being grateful for everything that is in your life. Focus on peaceful loving thoughts. Take time to meditate and pray every day. Visualize your body feeling healthy and strong. Visualize your perfect life and move towards it. If you find it difficult to mediate, there are many programs that can teach you to calm your mind and your body.